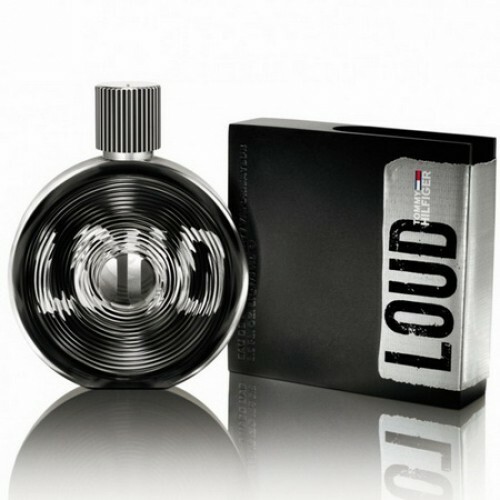 Tommy Hilfiger Loud is one of the brightest and most active modern flavors. Tommy Hilfiger Loud for Him 75ml. Eau De Toilette is one of the brightest and most active modern flavors, which is able to disperse the haze of any lack of confidence and inspire a young man to action. This gorgeous fragrance built on floral notes, bringing in every day of joy and fun. His unique sound will give the man confidence in his irresistible and will help it to work more intensively at the same time indulging in vivid entertainment. The first chords filled with the smell of roses tenderness, passion emphasizing choose this perfume young man. After the initial thin overflow shine Tommy Hilfiger Loud For Him becomes bold and courageous, because a key role in the central passages of this fragrance plays tart tobacco. The unexpected combination of rose and tobacco perfume makes this extraordinary symphony, emphasizes its modernity and relevance to today's culture. It connects to complete the melody all the ingredients of this stylish smell final note of patchouli. Quite a revolutionary new fragrance for men. The design of the bottle and the composition of the perfume opens a new world of extraordinary. Lauder Perfume Chemical will appeal to fans of rock 'n' roll. Bold and brash style flavor sounds in unison with the music. The creators of the perfume completely abandoned the classical canons of perfumery and came to develop the fragrance is quite extraordinary. Eau de Toilette Loud for Him by Tommy Hilfiger was founded in 2010 especially for those who want to achieve in your life a huge number of vertices and achievements, and most importantly feels the energy. Fragrant composition of the perfume is built on fine tangles of notes of patchouli and rose. It was developed by professional perfumers Givaudan - Yann Vasnier and Aurelian Guichard. And especially for commercials famous British band Ting Tings recorded musical composition "We're Not the Same". Along with men's fragrance was presented female version - perfume Loud for Her. A distinctive feature of the collection are the original pair bottles of fragrances that are styled for records.